“Please make it with only one chili”, I am asking when my colleagues decide that I have to try papaya salad. My Thai colleagues repeat the message in Thai. Perfect, I hope it should work. When the dish arrives, it has suspiciously many red pieces in it. After the first bite, I rush to my water glass and the only thing I can say is “wow”. 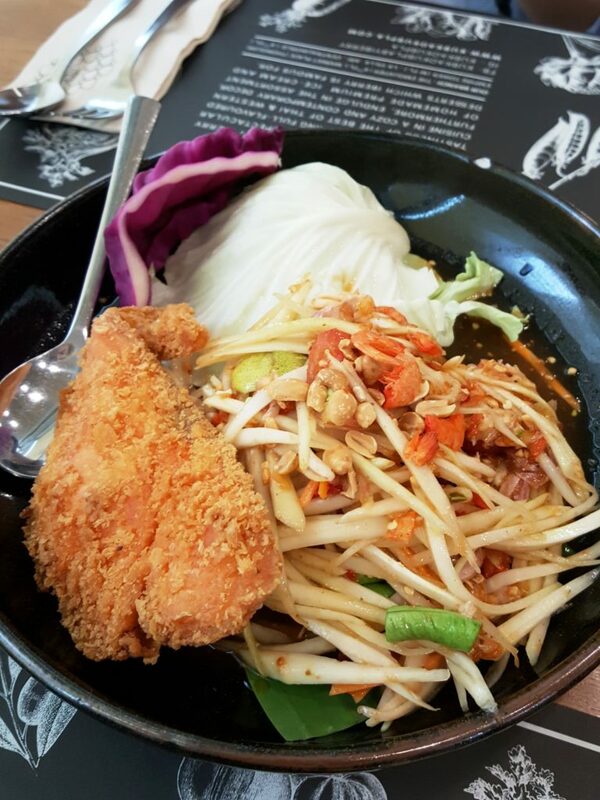 My colleagues each in turn try the salad and even the biggest fans of spicy food agree that it is really spicy. It seems as if “only one chili” was understood as “an extra chili”, in addition to the other three to five they normally use. I travel quite a bit in Asia for work, and Thailand is the country where I have had most challenges with food so far. When you have local colleagues to guide you around, it is more or less ok (with occasional stories as above). What do you do when you are on your own, want to try local food, but do not want to end up in tears and fire coming out of your mouth? Anything with orange/red tints is highly likely to be (super) spicy! 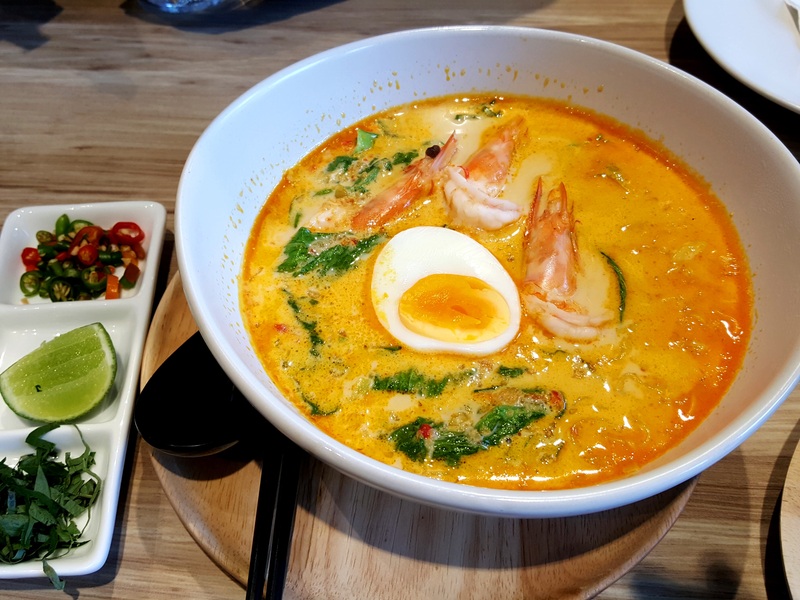 I don’t think I could ever learn the Thai language, but thanks to a lucky coincidence, I know one survival word that I will never forget, and that is the word for “not spicy”! I happened to be staying at a hotel, where each room had a small aquarium with a fish to keep the company for random fellow travelers. 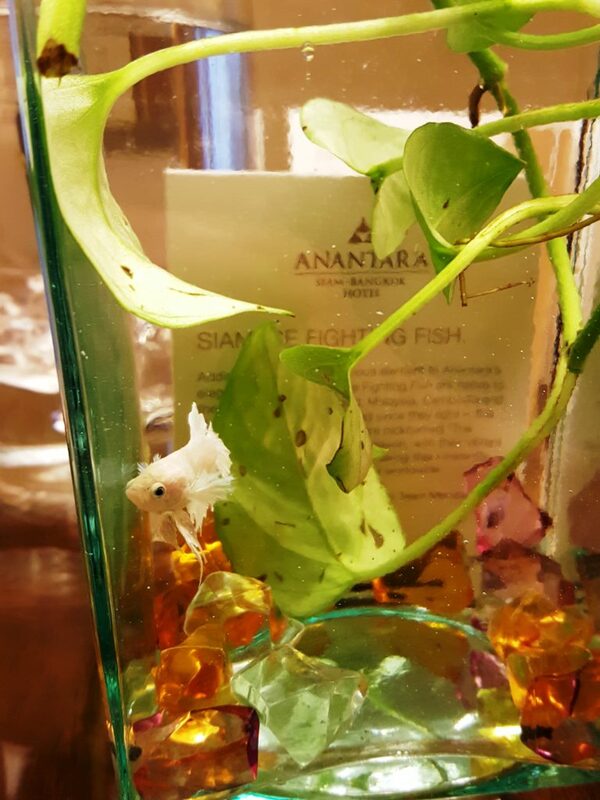 So that tiny fish became my roommate and “a pet” for a week. I call it “a pet” for a reason. When a colleague was teaching me how to say “not spicy”, I was almost laughing – the word happened to be very similar to “my pet”. While it may not be a perfect pronunciation of “Mị̀ p̄hĕd”, put the accent on a prolonged “e”, and it will do the work. Now every time I would travel to Thailand, I just have to remember that tiny fish in that hotel room, still saving me from unwanted culinary challenges. 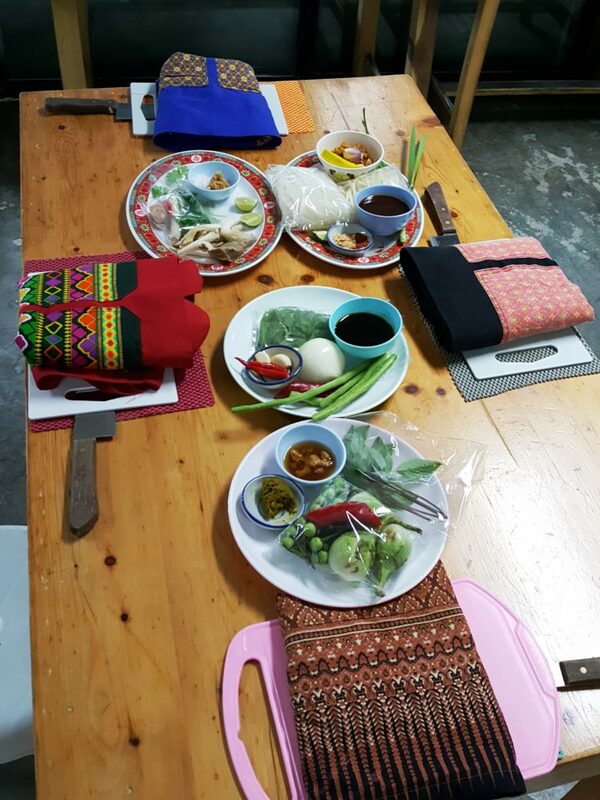 An alternative I strongly recommend is to try a Thai cooking class. 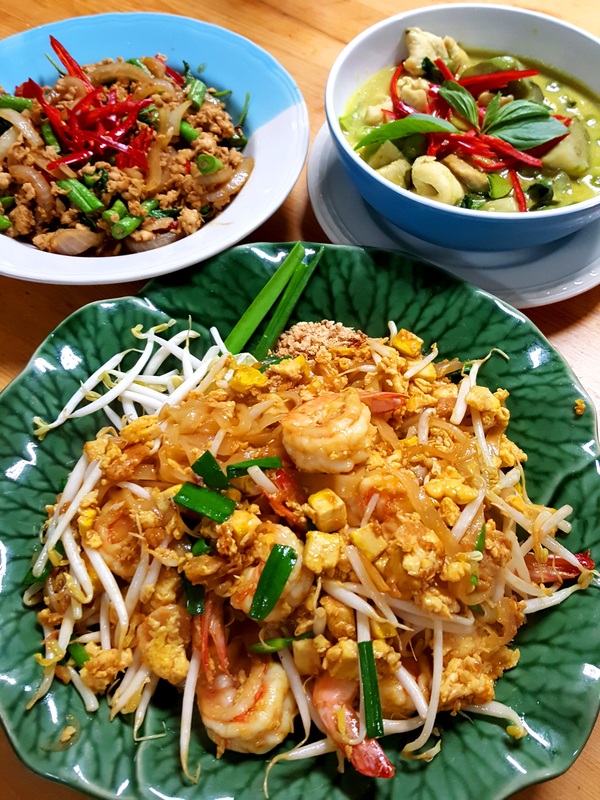 There you can decide if and how many chilies to use, can remove the chili seeds to reduce the spiciness of a dish, use less of green curry paste or apply all the tricks together. Aprons and ingredients ready for a team exercise. Looks amazing, right? Teamwork rules! 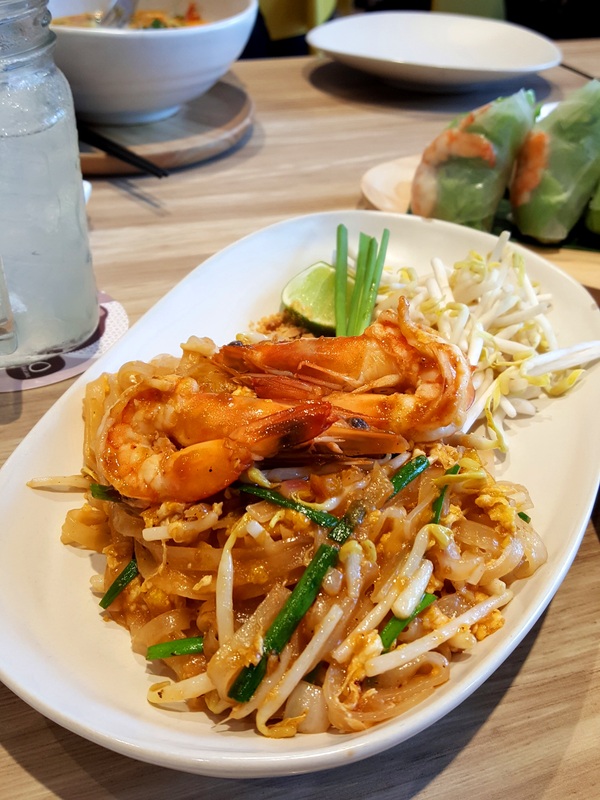 This entry was posted in Asia-Pacific and tagged Thai cooking, travel in Asia, travel in Thailand by Madame. Bookmark the permalink.